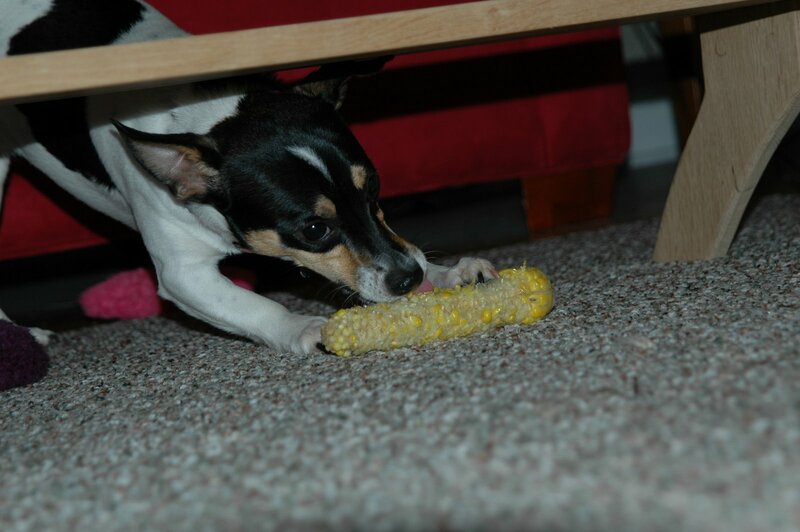 Our rat terrier, Sanibel, is very sneaky. When she wants something, she will find a way to get it. 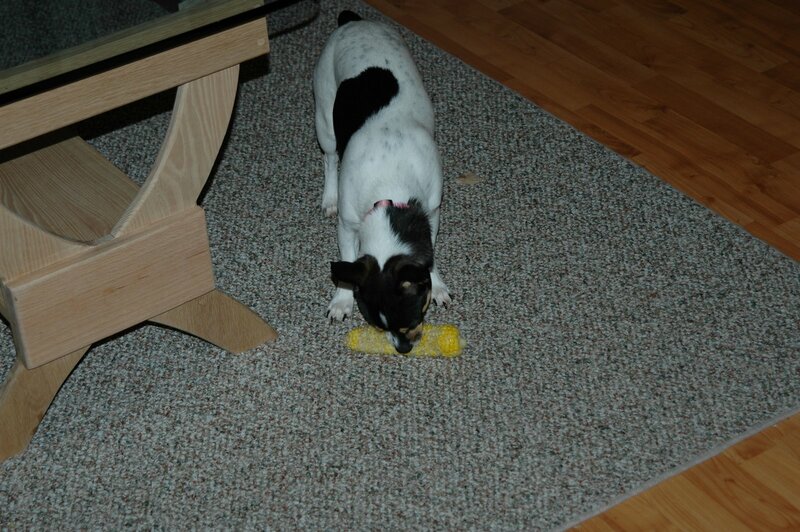 Tonight as we were cleaning up the kitchen after dinner, Sanibel decided she would like to try an ear of corn. So, she propped herself up on the trash can, stuck her long tongue down in it, and pulled out a piece of corn on the cob (minus the corn). Brent immediately went after her and she ran to the back of the house. We let her gnaw on it for a little while. It was a perfect photo opportunity. 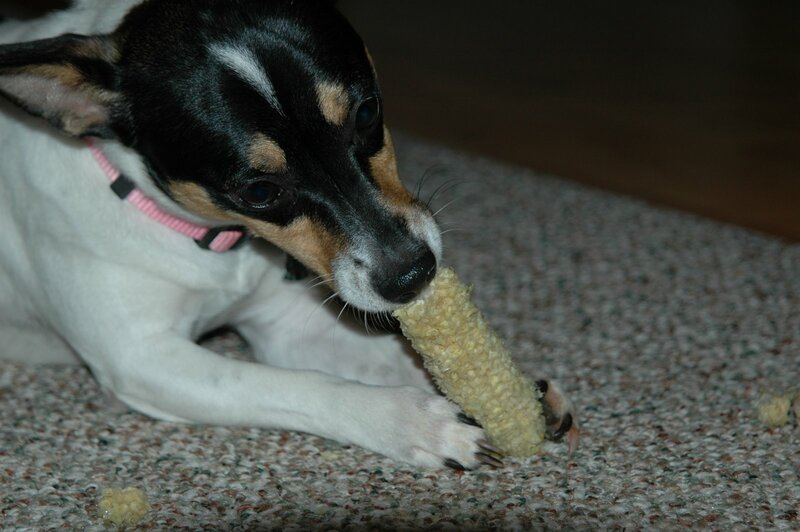 She gnawed on it for about 5 minutes and when she started eating the cob, we had to take it away. 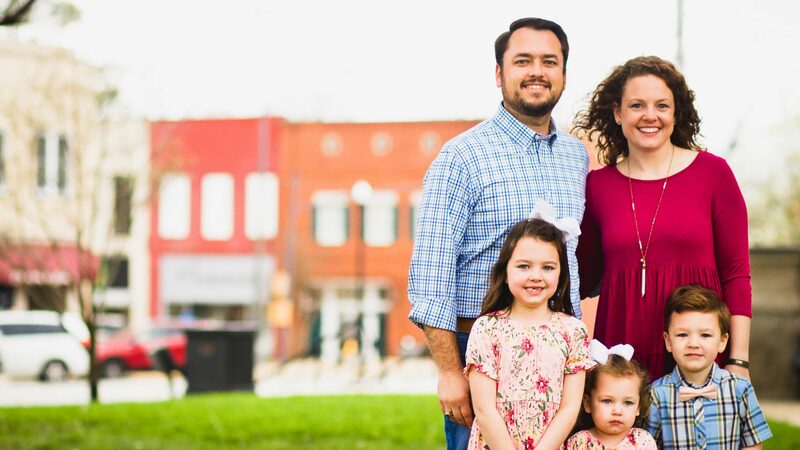 Brittany & Brent- I love your blog! You are such a great little writers (I believe Brittany’s been doing most of the writing, though! )- I can’t help but literally laugh out loud while reading your posts. I also love that you are doing these “would your rather” questions!! I really can’t choose which I would rather eat… neither. But, to answer an earlier one- I have been thinking for several days, and I would go with the Cheetoh residue permanently on my finger tips! !